VW Archives - Metro Plug-In your EV Charging Solution! 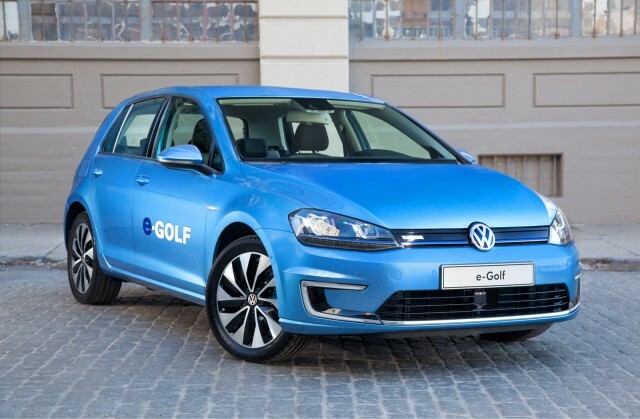 The 2015 Volkswagen e-Golf electric car will be priced from $36,265, VW announced this morning. 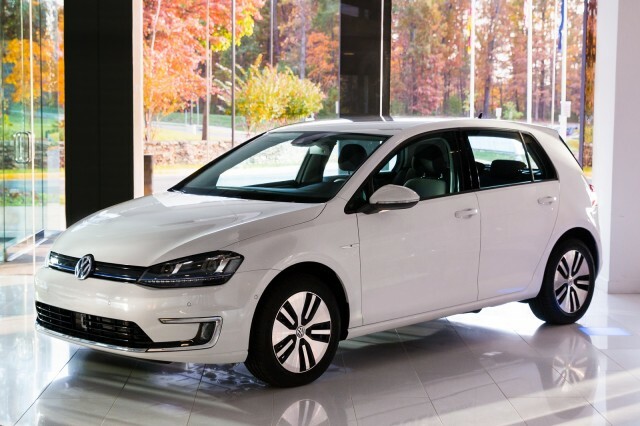 And the first battery-electric car ever offered in the U.S. by Volkswagen will be offered only in the very top Golf trim level, the SEL Premium model. 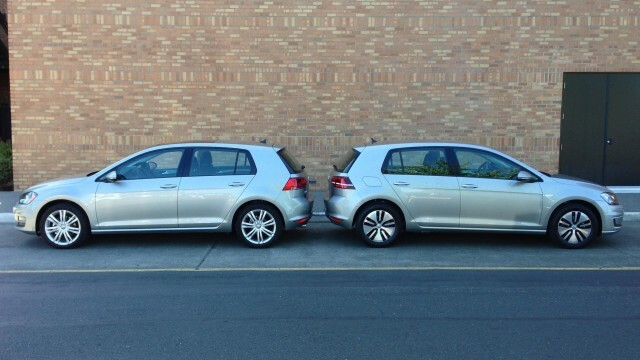 The 2015 e-Golf goes on sale in November at selected Volkswagen dealerships in launch regions that include California. The energy to run a Volkswagen e-Golf is stored in a 24.2-kilowatt-hour lithium-ion battery pack that powers a 85-kilowatt (115-horsepower) electric motor driving the front wheels. Motor torque is quoted at 199 lb-ft. 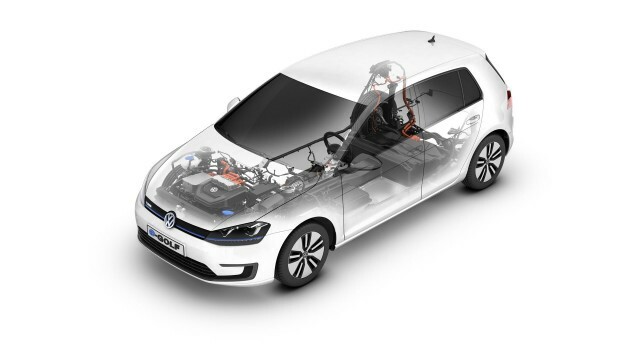 The car’s standard onboard charger operates at up to 7.2 kilowatts using a 240-Volt Level 2 charging station, and every e-Golf sold in the States includes a standard DC fast-charging port. That fast-charging, it should be noted, uses the Combined Charging System (CCS) standard adopted by U.S. and German makers, rather than the CHAdeMO system used by Nissan, Mitsubishi, and Kia. VW says it will recharge a depleted battery to 80 percent of its capacity in 30 minutes or less. At present, there are far more CHAdeMO quick-charging sites in North America (several hundred) than CCS locations (perhaps a few dozen), though it seems likely that future DC fast-charging locations will offer both standards. 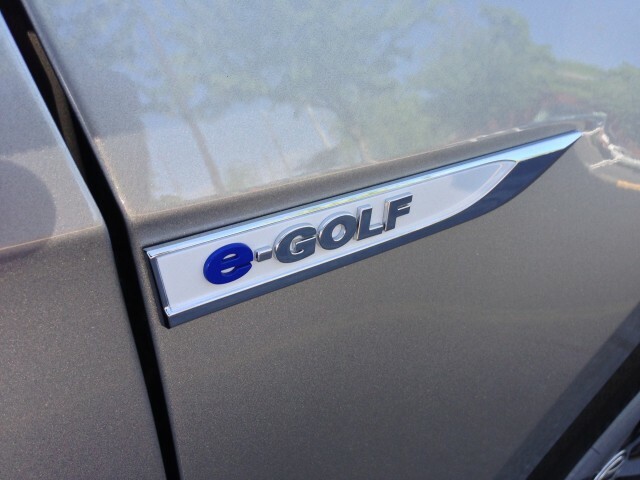 The e-Golf SEL Premium electric car comes with a long list of standard features and equipment that are options on the gasoline and diesel 2015 Golf models. Those include 16-inch aluminum alloy wheels, keyless access, a leather-wrapped steering wheel, dual-zone automatic climate control, a 5.8-inch touchscreen display for infotainment and the standard navigation system, and Bluetooth pairing. The e-Golf offers three levels of regenerative braking, selectable by the driver, as well as three different drive modes: Normal, Eco, and Eco+. Energy efficiency features include LED headlights and heated front seats, to reduce the need for cabin heating in cold weather. Among the standard safety systems are a rearview camera, front and rear Park-Distance Control, and Automatic Post-Collision braking. Volkswagen says the e-Golf has the largest interior volume of any electric vehicle defined as a compact car: 93.5 cubic feet. That’s the same as the gasoline version of the Golf, meaning there’s no intrusion of the battery pack or charger into the passenger cabin. Cargo space is 22.8 cubic feet behind the rear seat, which expands to 52.7 cubic feet when that split seat back is folded down. 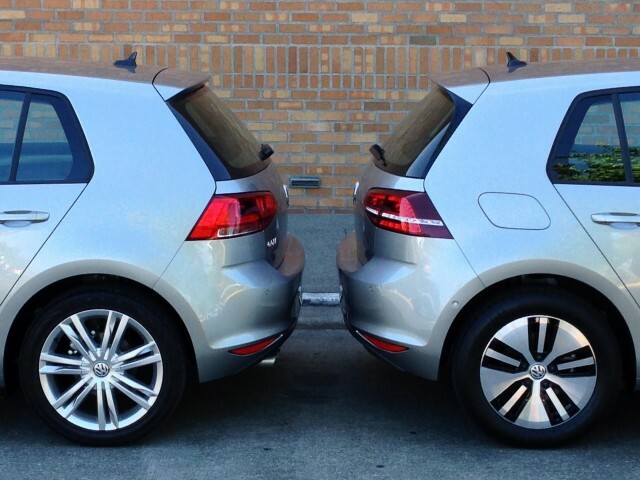 All electric Golfs will be built in Germany, while the rest of the 2015 Golf lineup for North America–including a new wagon, the Golf SportWagen, that used to be a Jetta model–will be sourced from Mexico.